Many people firmly believe that the reason they can’t lose weight is because they have a slow metabolism. Do you ever point the finger of blame on a sluggish metabolism as the reason for not being in the kind of shape you want to be? If so, I bet you’ll find this post interesting and insightful. Although the only way to really know if your body is burning fewer calories than it should is to have your metabolic rate accurately tested in a lab, its very unlikely that you actually need to do this or indeed that you actually have a slow metabolism -this is especially true if you weigh more than your ideal weight. Metabolism increases with body weight meaning heavier bodies burn more calories each day - the exact opposite of what most people believe. 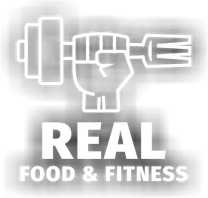 Firstly, muscle mass and body fat burn calories, meaning firmer biceps and bigger belly’s = a bigger metabolism! Muscle tissue burns around 5-7 calories per Ib per day and whilst fat tissue burns less it still burns calories and therefore contributes to your overall metabolism. It’s worth noting that your basil metabolic rate (that’s the number of calories your body uses to sustain basic bodily functions like breathing and brain function at rest) represents about 70% of your total daily energy expenditure, so your body weight has a huge impact upon your metabolism. Second, a heavier body is harder to move which means standing up, walking around and working out in the gym burns more calories than a lighter one. Individual differences in metabolism DO exist and should not be completely overlooked – studies such as this demonstrate varying degrees of weight gain between individuals (in this case different pairs of identical twins) when following the same diet and exercise program. The average weight gain of the participants in this 100 day study was 8.1 kg but some gained as little as 4.3 kg whilst others gained 13.3 kg due to genetic factors. The take away point here is that some people respond better to diets than others but everyone can lose weight regardless. Excluding a diagnosed medical conditions such as hypo thyroidism, Poly Cystic Ovarian syndrome (PCOS) or any medications which can make weight loss more challenging, your metabolism is probably just fine and certainly can’t prevent you from losing weight. But if that’s the case and you’re following a diet whilst exercising regularly how come you’re not losing weight? Well, unless you're doing a lot of strength training and gaining a decent amount of muscle mass (note gains are quicker as a beginner and slower the more experienced at lifting you are) the only possible answer is that you’re not in a calorie deficit – you may think you are but you can’t be if your not losing body fat. If you burn more calories than you consume you will lose weight. The only reason you or anyone else on the planet isn’t losing weight is because too many calories are being consumed and too few are being burned. The most common cause of this is unknowingly under-reporting calorie intake and over-estimating calorie expenditure. Studies show that people underestimate their calorie intake by up to 429 calories or more per day. Even trained dieticians misreport their daily calorie intake by roughly 223 calories daily. Other research papers showed that “under-reporting was greater among people who were overweight or obese, those who were physically active, adults compared with teenagers, and women compared with men”. Even food labelling laws can lead you to under-report calorie intake. In the UK food labelling laws dictate that food manufacturers calculate and list the calorie content of their product on nutrition labels, which is good, the issue is - the same law permits a 15% error margin on listed calories and in the US the Food and Drug Administration (FDA) allow a 20% error margin. So, even if you are meticulously counting calories your intake could be skewed by 15-20% which is enough to prevent you losing weight when you think you should be. The number of calories coming into your body is only half the story when discussing weight loss. 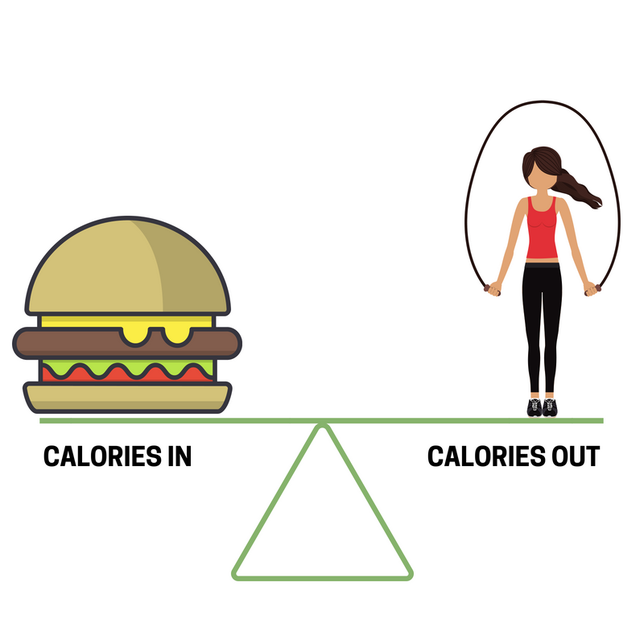 The other side of the calories in/calories out equation focuses upon your energy expenditure (calories out). Most people use gym machines and activity trackers like Fitbits to monitor the number of calories they burn, and whilst activity trackers are a fantastic tool which I often recommend, this type of technology is notorious for over-estimating your calorie expenditure. The sad truth is - you burn significantly fewer calories during a workout than what any gym machine or activity tracker is telling you. Exercise efficiency is another factor to consider here because as you become fitter the number of calories you burn gets even more skewed. As your fitness increases so does your efficiency of movement meaning you burn fewer calories when you get really good at a certain activity like running for example. I’m not suggesting you quit going to the gym or taking a daily walk – aerobic exercise can do wonders for your physical and mental health so if you’re already doing some form of aerobic exercise keep it up! I just want you to be aware that you probably aren’t burning as many calories as you think when you work out. 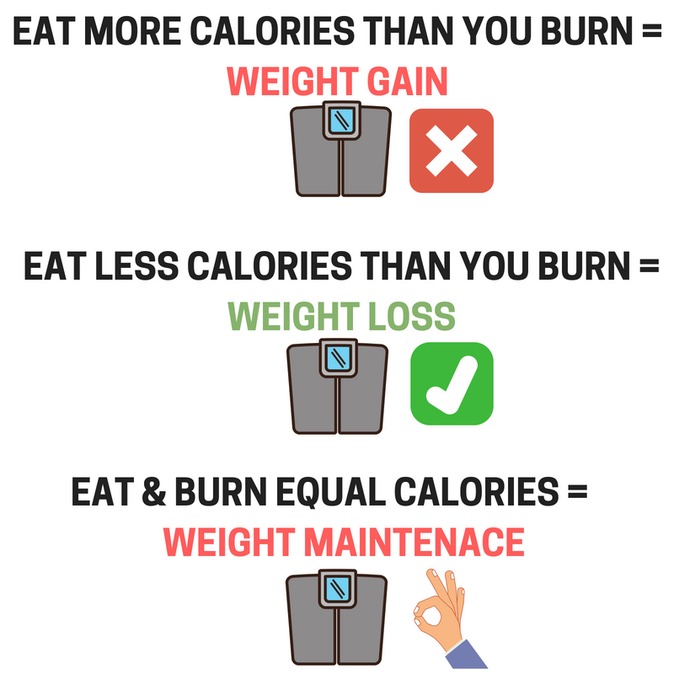 This is an important point to make because the primary objective of many gym goers is to simply burn a pre-determined number of calories (usually somewhere between 500-1000) during their work-out and then leave the gym believing they have done enough to keep them on track to hit their weight loss goal or enjoy a high calorie treat later in the day. In principle there’s nothing wrong with this - burning more calories via activity can make room for some tasty treats now and then, but because we underestimate the numbers of calories we eat, the calories listed on food packages are often incorrect and the amount of calories we burn during exercise is exaggerated, a post workout treat may need to be much smaller than initially planned. This is bad news I know! Your basil metabolic rate reduces as you lose weight due to the loss of calorie burning fat and muscle tissue. When you weigh less the number of calories you burn during exercise decreases because a lighter body is easier to move around than a heavier body. The amount of calories you expend digesting food decreases when you are dieting because you are eating less food. Your body finds sneaky ways of slowing down your energy expenditure to prevent excessive weight loss by making you move less throughout the day – subconsciously you'll be walking less, sitting more, fidgeting less and possibly cutting workouts short once you get deep into a calorie deficit. These are all normal adaptations to dieting and weight loss, the question is how can you prevent them from ruining your progress? 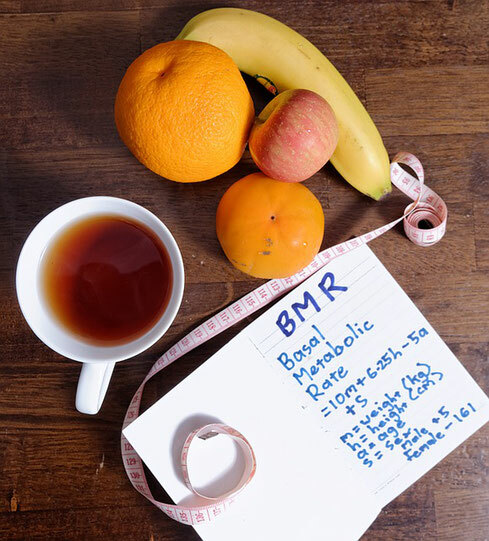 Having established that you’re probably eating more calories than you think, burning less than you imagined and that your metabolism naturally drops when you diet down and lose weight lets outline some simple tactics to help you get the most out of your diet and exercise efforts. If you track your calorie intake with an app such as my fitness pal try overestimating your intake of foods, doing so will adjust for any inaccuracies in the listed calorie content of the foods you eat and the natural tendency to underestimate portion sizes. Mix up your aerobic exercise routine on a regular basis to prevent high levels of exercise efficiency from creeping in and decreasing your calorie burn. Here are some examples; run on sand or up a hill instead of on flat concrete surfaces, try using the rowing machine instead of running on a treadmill, use the bike instead of the elliptical trainer, etc. Buy an activity tracker and monitor your daily step count to prevent it from subconsciously decreasing as you get deeper into a diet. Avoid mindless eating by not watching TV or checking your Facebook feed at meal times - it’s really easy to overeat when distracted. Minimise the consumption of “hyper-palatable” foods such as cakes, cookies, candies, pastries, peanut butter, etc., these foods are calorie dense and incredibly easy to overeat. Eat more protein rich foods, fruits, vegetables (especially boiled potatoes), soups and stews - these foods are highly satiating and can fill you up with fewer calories. Enter a lighter body weight when using exercise machines to increase the accuracy of your estimated calorie burn. It’s highly likely that you don’t have a slow metabolism, in fact the heavier you are the higher your metabolism will be. Whilst we have acknowledged that certain genetic factors do exist that might influence your ability to gain or lose weight you cannot control them so why stress about them? You will be better served by focusing upon things you can control such as your eating behaviors and overall lifestyle - making the right choices here can create a calorie deficit and lead you to successfully lose weight.